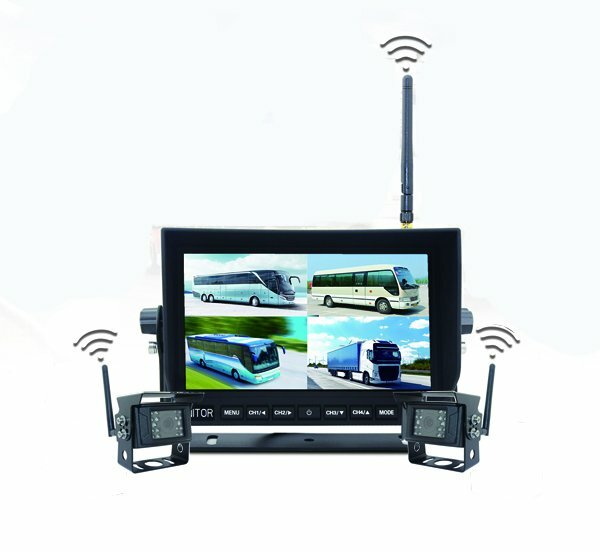 4 WiFi camera parking system + 7" LED WiFi monitor. 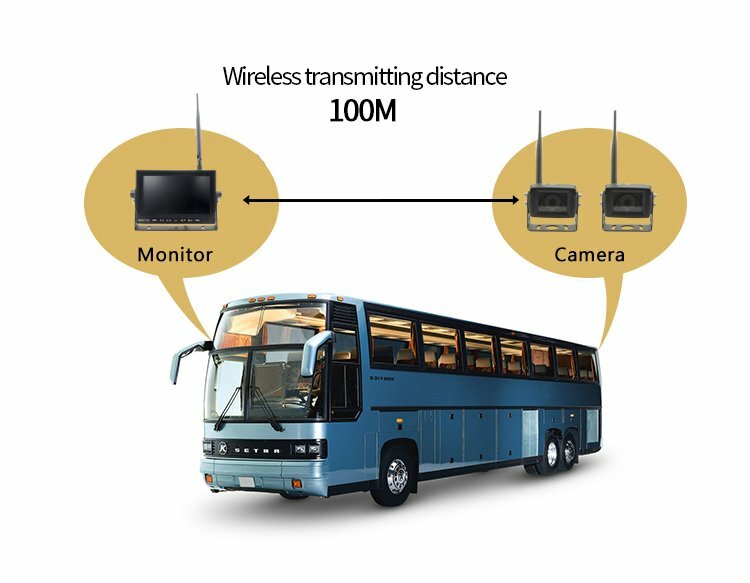 The set includes 4 WiFi reversing cameras with extra long range of WiFi connection up to 100m. 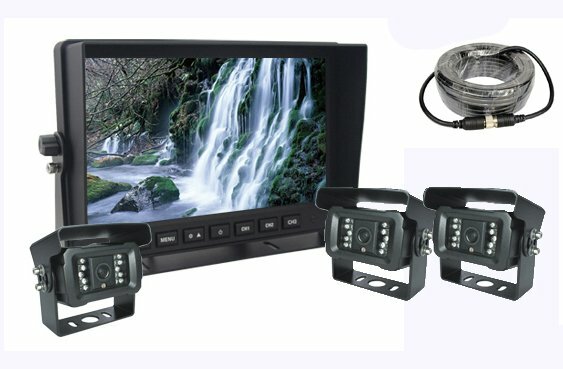 It is ideal choice for installation of quality reversing system. 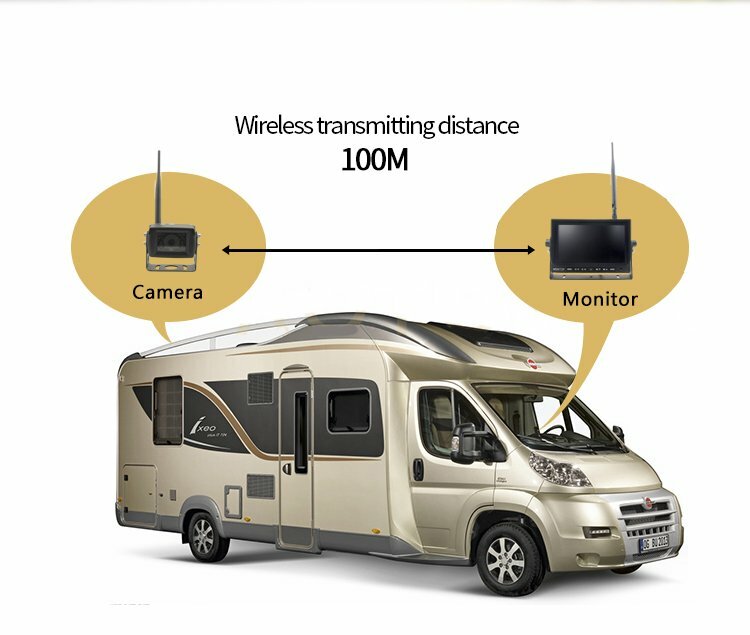 Thanks to its parameters and connection of reversing camera with monitor via WiFi, the installation is easy. 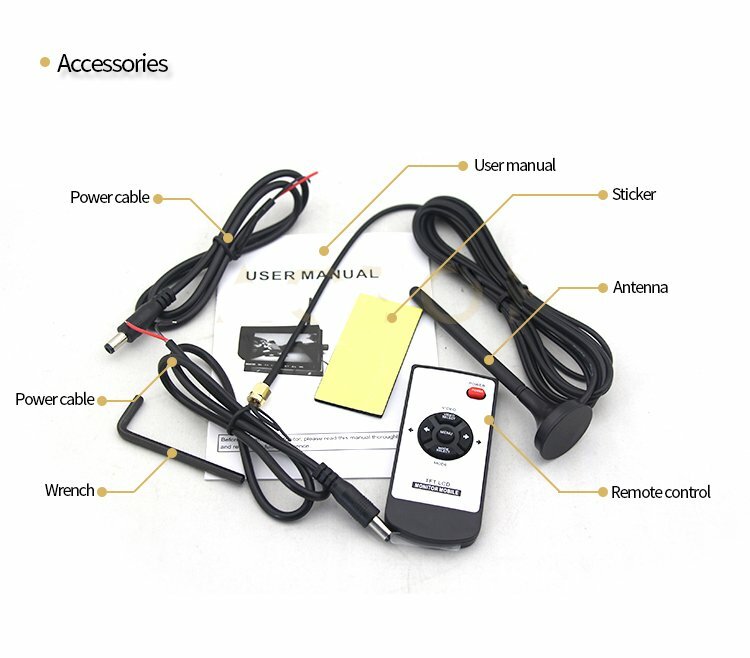 You do not have to plug reversing system as before, with complicated cables through the interior of vehicle. 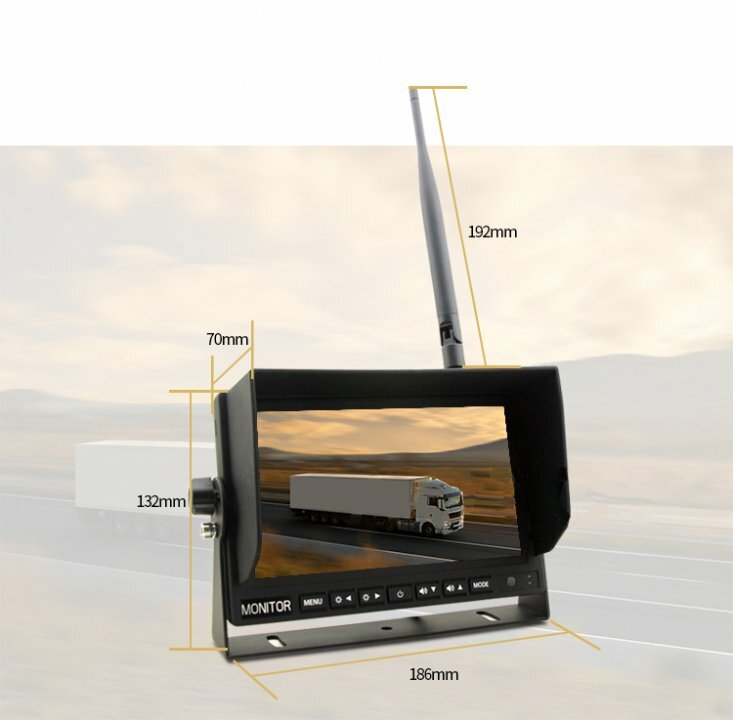 The monitor with camera is equipped with an adjustable console, which you can place on required place. 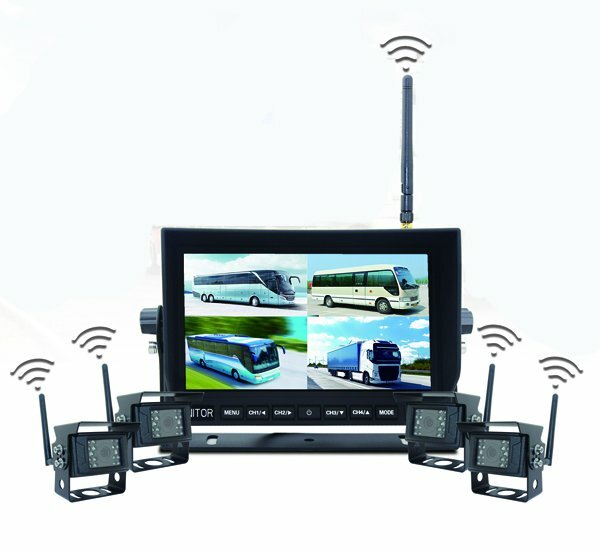 The WiFi reversing set has a wide range of use, thanks to high-performance WiFi antenna is suitable not only for cars but also van, minibus, buses, trucks, trailers and other vehicles. 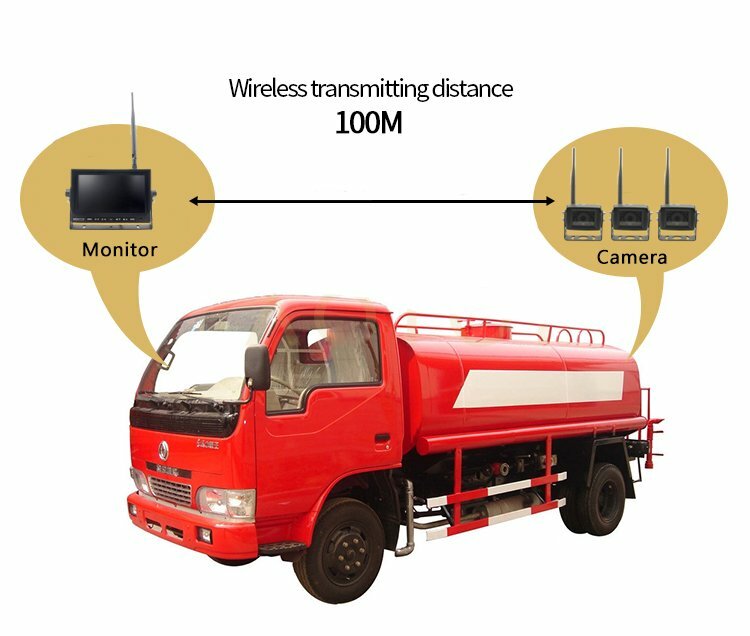 IP level of camera protection is up to IP68 waterproof, dustproof and resistant to damage. 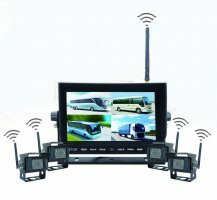 This wifi reversing set is unique with the extra large range of wifi connections up to 100 m.
This parking set contains 4 WiFi cameras, what you will appreciate especially for installation on larger vehicles, where you need more views from different angles. 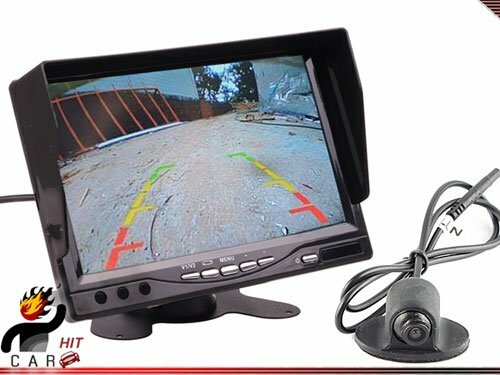 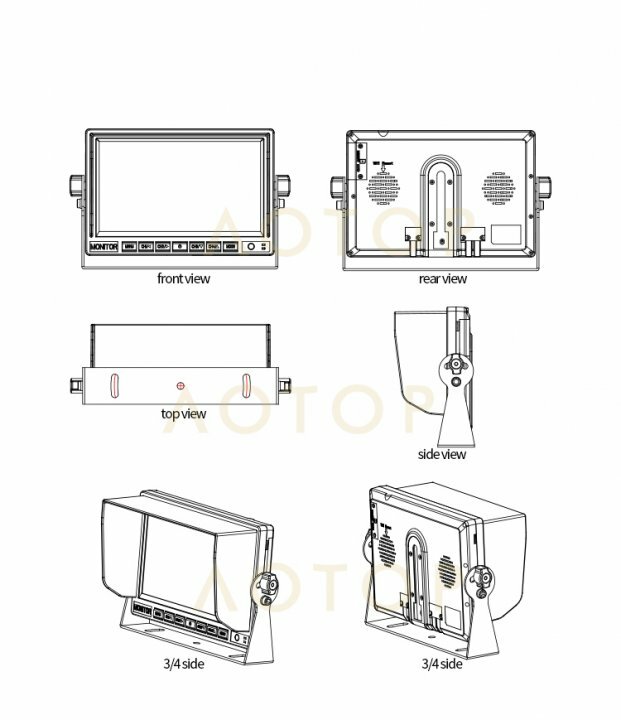 With this system you will know exactly what happens behind the vehicle or around it. 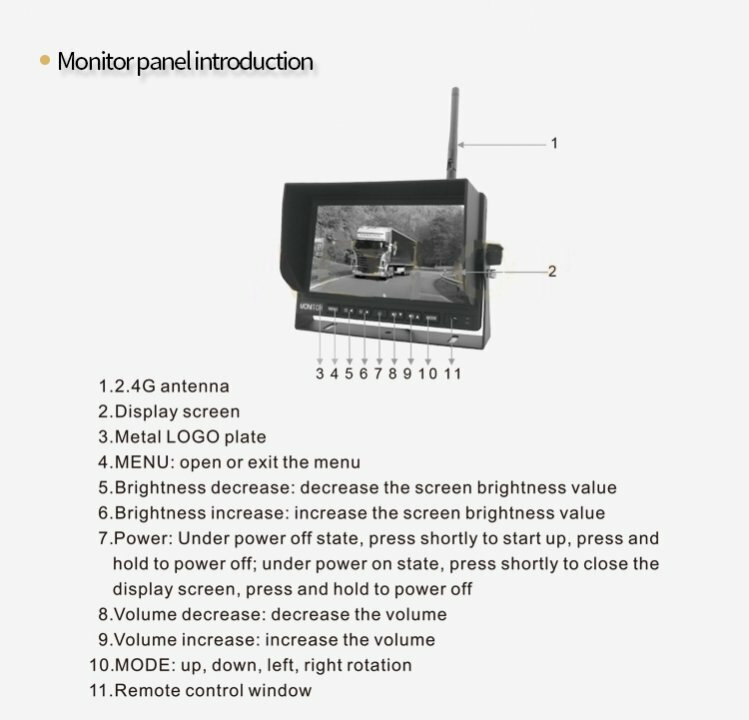 LED monitor has a brightness of 300:1 with a resolution of 800x480. 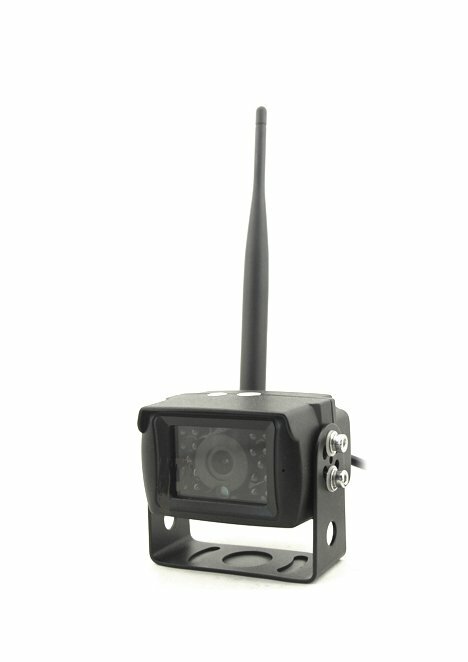 The lens with wide angle of viewing up to 150° is also equipped with IR night vision. 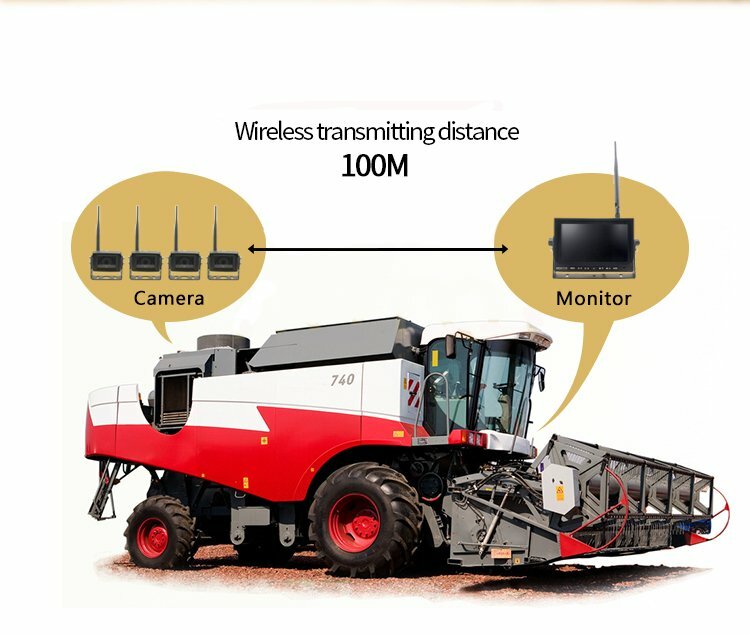 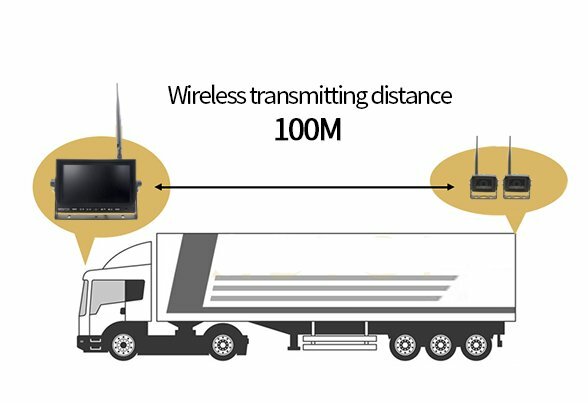 WiFi signal has a range of up to 100m which will guarantee good response of signal from the reversing camera.